Les Gets is well known for being family-friendly. 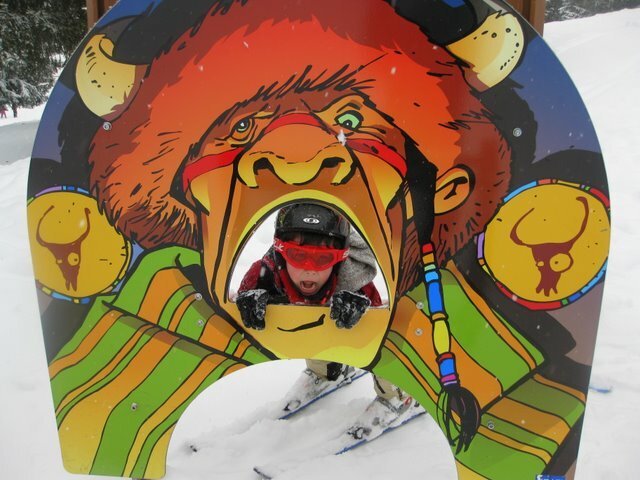 On the piste there is an area called ‘Le Grande Cry’ which is a Native American-themed area of the piste, all green runs with music, teepees and face-painting. Lots of fun! Most of the ski schools now hand out certificates or badges for ski/snowboard achievements – this supercharges their motivation! Down in the village there is an outdoor ice-rink which is always popular and the free village shuttle bus happens to be a fleet of small trains which is a huge hit with the kids. At the end of the week there is often a firework display and there are numerous shows and events throughout the season.